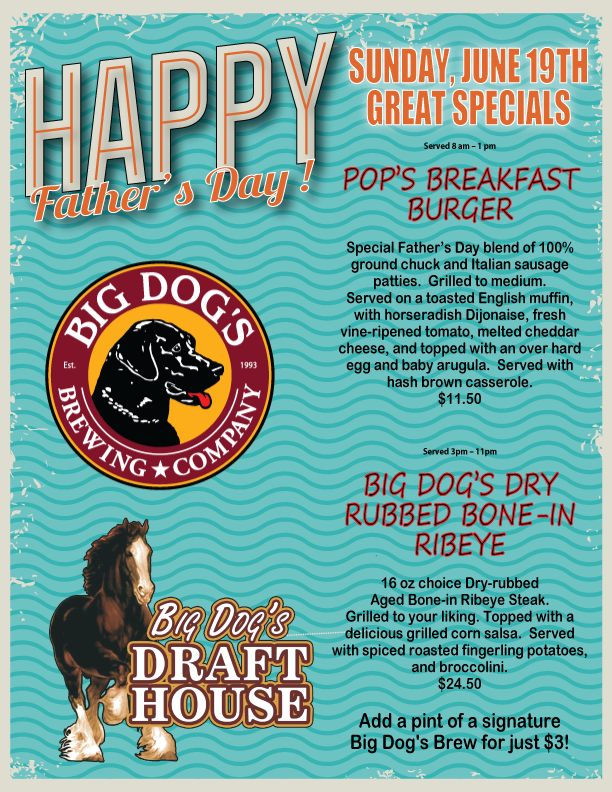 Big Dog's has great Father's Day gifts and specials on tap! FATHER'S DAY IS SUNDAY, JUNE 19TH! 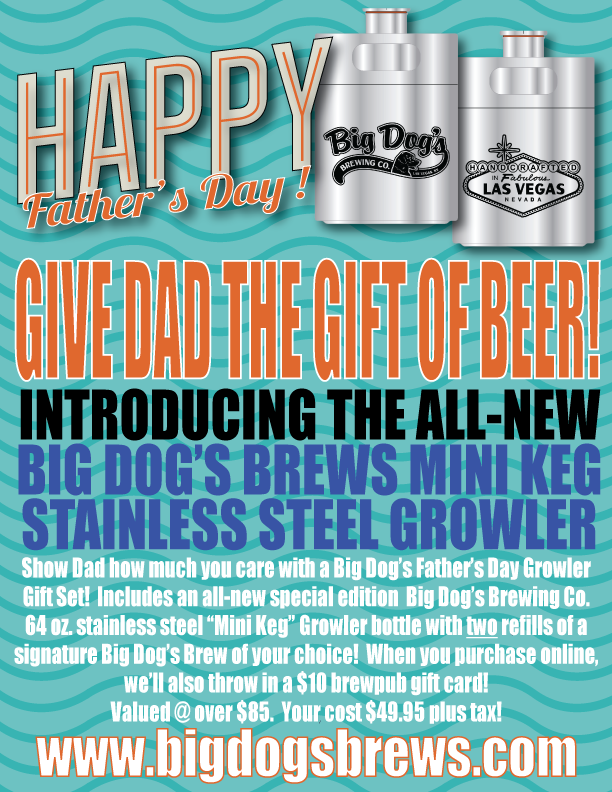 GIVE DAD THE GIFT OF CRAFT BEER! INTRODUCING THE ALL-NEW, SPECIAL EDITION BIG DOG'S BREWING CO. MINI KEG GROWLER! FATHER'S DAY GIFT SETS ARE NOW ON SALE! 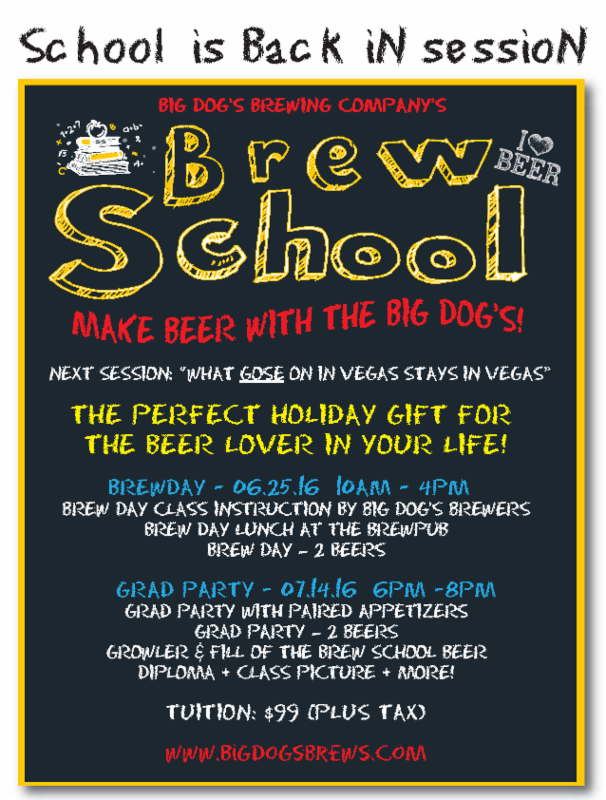 WHAT "GOSE" ON IN VEGAS, STAYS IN VEGAS! 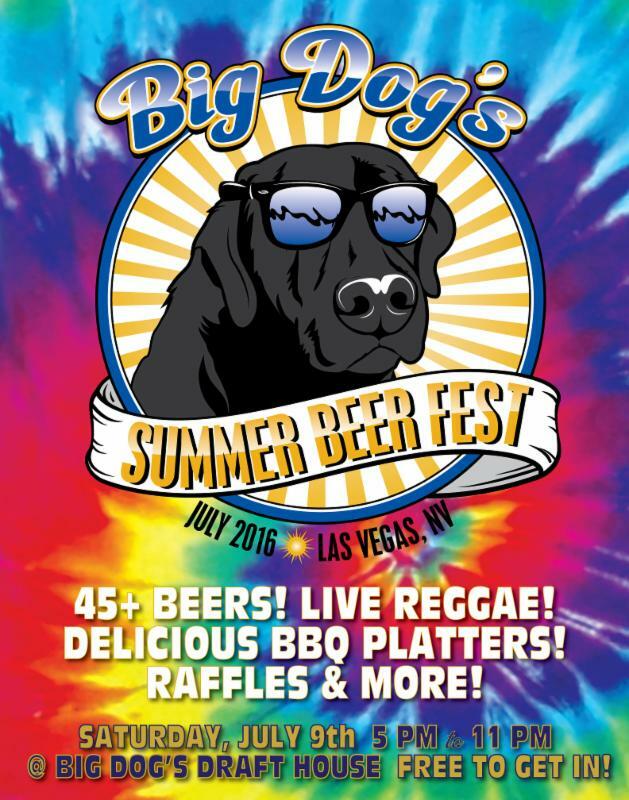 WHAT IS BETTER THAN LIVE REGGAE & DELICIOUS CRAFT BEERS?!!! FESTIVAL TOKEN PACKAGES MAKE A GREAT GIFT!